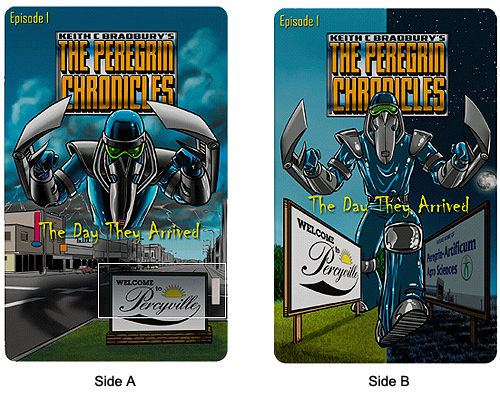 This USB Card (close to Credit Card size) contains the first complete episode, "The Day They Arrived," as featured in the first 2 comics (Issues 1 and 2) in PDF form. A small USB card slides out of the card and can be inserted into any free USB port on your computer. 48 full-color high resolution content pages.